This one is saved because the first-class manufacturer's unified screws are available immediately. Is it good for cutting, and that there is little biting of Kiriko for the goodness of cutting edge design, heat treatment, polishing finish? After all the good tools are feeling good. This review is about item#9464201. This review is about item#9464192. This review is about item#09464244. Thank you for shipping quickly. Even if this type of tap is not sold normally and it is sold it was a set. 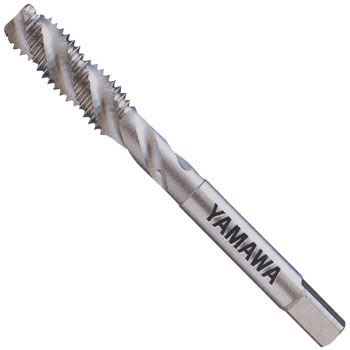 Since the feeling of use is a spiral shape, it was not different from the usual M spiral tap. Just because the tip part of the paper is few, the initial incorporation was a bit difficult. This review is about item#09464201.